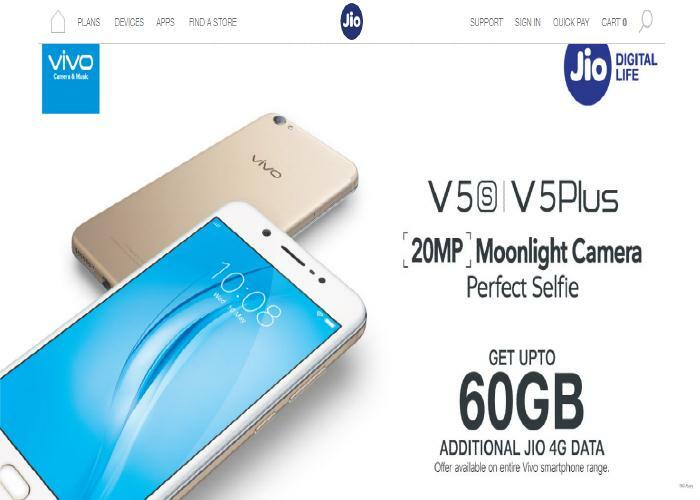 Reliance Jio has launched a new offer for Vivo smartphone users in the country. 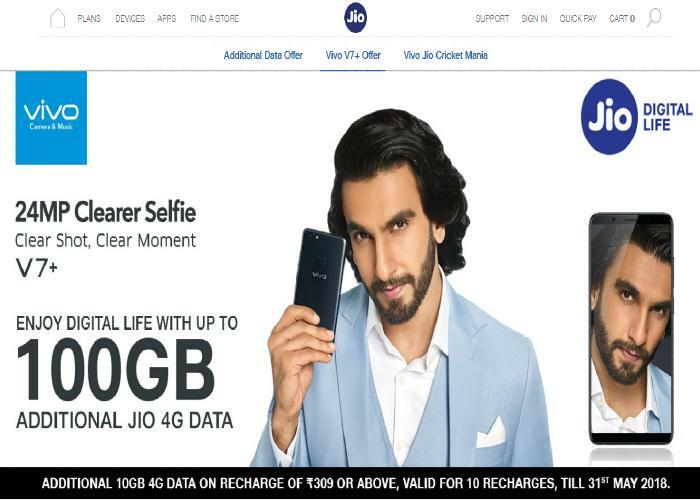 Under the new Vivo Jio additional data offer, Jio subscribers using a Vivo smartphone can get up to 60 or 100GB free 4G data that will work on top of the existing pack availed by the user. The Jio Additional Data Vouchers can be availed for a maximum of six recharges and the offer available after 30th June 2017. 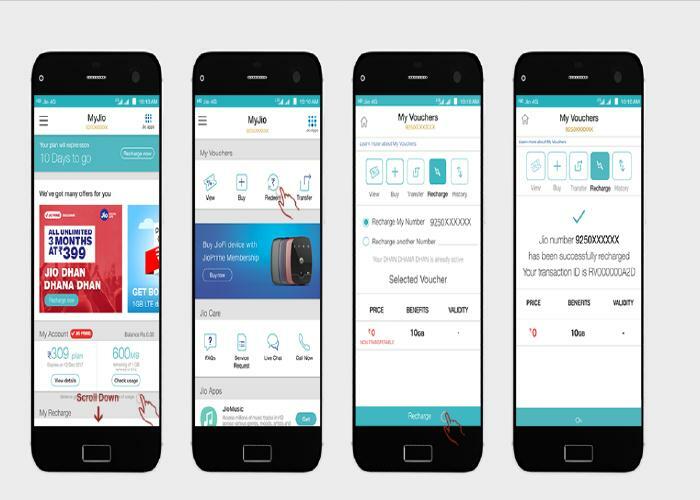 A person who purchases any applicable Eligible Vivo Device and who is an active subscriber of the Reliance Jio connection and is enrolled to the Jio Prime membership plan and recharge performed of rupees 309 or above they are benefited 60GB Additional Data Vouchers. Only the VIVO V7+ offers 100GB Jio 4G additional data benefits of maximum ten recharges and the offer available between 7th September 2017 and 31st May 2018. 7 GB 4G data, per Recharge (7 GB Additional Data Voucher) Y21L, Y27L, Y31L, Y51L, V1, V1Max, V3, V3Max, X5Pro, Xshot, Y55L, V5, Y53, Y55S, Y66, V5S and Y69. Thereafter the applicable Additional Data Vouchers shall reflect under the My Plans section.